JSSC Answer Key 2019: Driver Answer Key 2019 is available now for JSSC Driver Exam 2019. The exam was organized by JSSC - Jharkhand Staff Selection Commission . 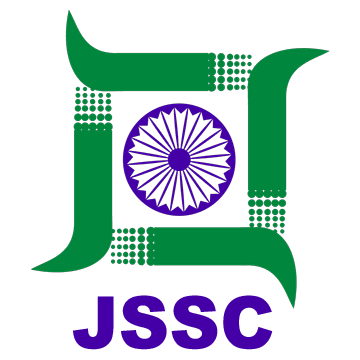 JSSC Driver Answer Key 2019: JSSC - Jharkhand Staff Selection Commission has issued the Answer Key on 24 Jan 2019 for JSSC Driver Exam 2019. Answer Key can be accessed from the link given below. JSSC JHPCCE 2018 Final Answer Key 2019: JSSC - Jharkhand Staff Selection Commission has issued the Answer Key on 16 Jan 2019 for JHPCCE Exam 2018. Answer Key can be accessed from the link given below. JSSC IS (CKHT) CCE 2017 Revised Final Answer Key 2019: JSSC - Jharkhand Staff Selection Commission has issued the Answer Key on 05 Jan 2019 for IS (CKHT) CCE Exam 2017 . Answer Key can be accessed from the link given below. JSSC Staff Nurse & Other Posts Answer key/ Objection Key 2018: JSSC - Jharkhand Staff Selection Commission has issued the Answer Key on 11 Dec 2018 for the exam. Answer Key can be accessed from the link given below. JSSC JHPCCE-2018 Answer Key: JSSC - Jharkhand Staff Selection Commission has issued the Answer Key on 06 Dec 2018 for the exam. Answer Key can be accessed from the link given below. JSSC ISCCE Final Answer Key 2018: JSSC - Jharkhand Staff Selection Commission has issued the Answer Key on 04 Oct 2018 for the exam which was conducted on 04 Feb 2018. Answer Key can be accessed from the link given below. JSSC PGT Final Answer Key 2018: JSSC - Jharkhand Staff Selection Commission has issued the Answer Key on 04 Jul 2018 for Post Graduate Trained Teacher Competitive Examination 2017. Answer Key can be accessed from the link given below. JSSC Field Clerk Answer Key 2018: JSSC - Jharkhand Staff Selection Commission has issued the Answer Key on 29 Jun 2018 for Field Clerk Exam 2017. Answer Key can be accessed from the link given below. JSSC PGTTCE-2017 Final Answer Key 2018: JSSC - Jharkhand Staff Selection Commission has issued the Answer Key on 08 Jun 2018 for PGTTCE Exam 2017. Answer Key can be accessed from the link given below. JSSC PGT Answer Key 2018: JSSC has issued the Answer Key on 07 Apr 2018 for the exam. Answer Key can be accessed from the link given below. JSSC IRBGCE-2017 Final Answer Key 2018: JSSC has issued the Answer Key on 15 Mar 2018 for the exam. Answer Key can be accessed from the link given below. JSSC ISCCE-2017 Re-Exam Answer Key: JSSC has issued the Answer Key on 26 Feb 2018 for ISCCE-2017 Paper-II (HO Language -Re Examination). Answer Key can be accessed from the link given below. JSSC ISCCE-2017 Final Answer Key: JSSC has issued the Answer Key on 26 Feb 2018 for ISCCE-2017 Hindi & Khortha. Answer Key can be accessed from the link given below. JSSC CGTTCE-2016 Revised Answer Key 2018: JSSC has issued the Answer Key on 26 Feb 2018 for the exam. Answer Key can be accessed from the link given below. JSSC IS (CKHT) CCE-2017 Urdu Language Answer Key 2018: JSSC has issued the Answer Key on 15 Feb 2018 for the exam. Answer Key can be accessed from the link given below. JSSC IS (CKHT) CCE 2017 Main Exam Answer Key 2018: JSSC has issued the Answer Key on 14 Feb 2018 for the exam. Answer Key can be accessed from the link given below. JSSC IS (CKHT) CCE-2017 (Main Exam) Answer Key 2018: JSSC has issued the Answer Key on 10 Feb 2018 for IS (CKHT) CCE-2017 (Main Exam) which was held on 21.08.2018 and 28.01.2018. Answer Key can be accessed from the link given below. JSSC CGTTCE-2016 Final Answer Key (Economics): JSSC has issued the Answer Key on 09 Feb 2018 for the exam. Answer Key can be accessed from the link given below. JSSC JCPSICE-2017 Revised Answer Key: JSSC has issued the Answer Key on 07 Feb 2018 for the exam. Answer Key can be accessed from the link given below. JSSC CGTTCE-2016 Final Answer Key (Maths & Physics): JSSC has issued the Answer Key on 07 Feb 2018 for the exam. Answer Key can be accessed from the link given below.